People’s differences in experience level, fears, and willingness to “just go for it” make it very difficult to create the perfect site or source for any activity. This is where Betaknot’s mindset “build it for yourself” comes in. Dive in and do the research. Find joy in reading more than one route description or trip report. Who knows, you might learn something that has nothing to do with the route, but ends up saving your life someday. Use Betaknot to tie together what you think is useful. Build a habit of reading and compiling during the work week. Don’t worry about file structure or organization until later, instead, focus on saving the good sources and capturing the details. Betaknot is not a crowd-sourced or curated content site; it is your personalized content site. Our goal is to help you build plans and keep them updated, so you can be successful or at a minimum remember why you were not. As the site grows, we will help create micro communities and make it possible to share ideas with fellow enthusiast, but at the end of the day your beta will always be yours. We built the framework for ourselves and now want to share this version with you. So go, use Betaknot – build a plan for yourself, and share it after you try. Have fun & embrace that everything is a work in progress! 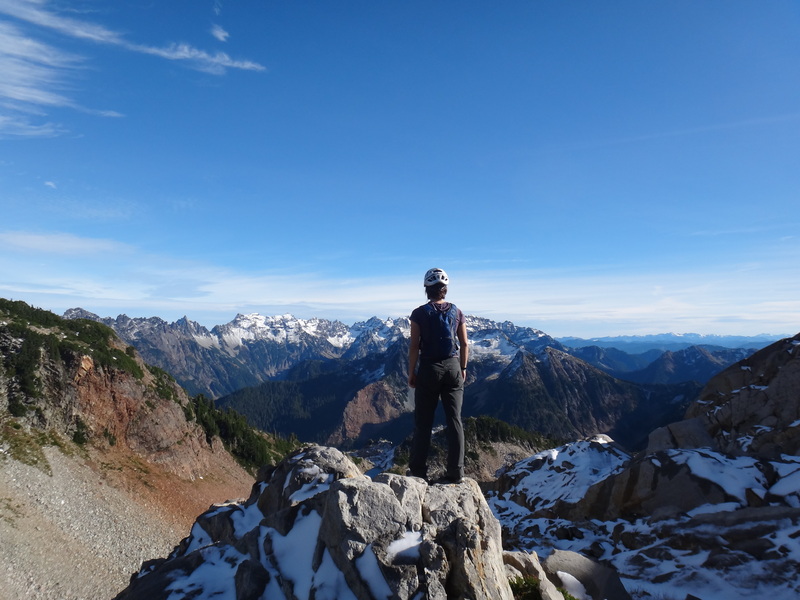 Summit of Gothic Peak, a hike/scramble in Washington.